"His numbers are even more impressive when you think about how many games he caught in the heat at old Busch Stadium. He wanted to be in the lineup every day. He was strong, he was young and he was a real gamer." - Holds the franchise record for career home runs (172) and RBIs (929) by a switch-hitter. - Batted .300 six times and had 20 HRs five times with the Cardinals. 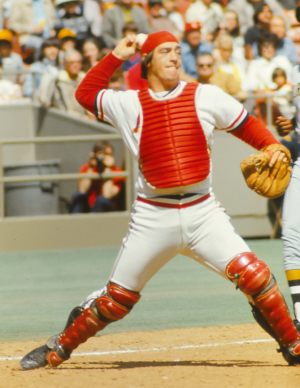 - Finished with 2nd most RBIs (902) and 3rd most hits in the NL (1,631) in his 10 full seasons with the Cardinals (1971-80). - Played in 150 games for 7 consecutive season including 154 in 1975 and 153 in 1973. - Was a NL All-Star 6 times. 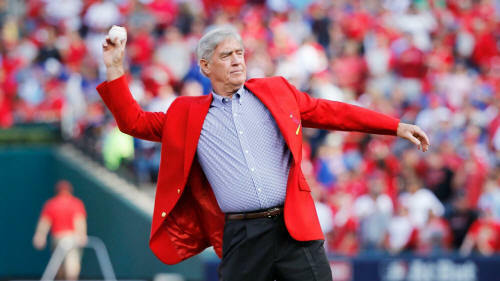 - Selected 10th by the Cardinals in the 1967 amateur draft and made his MLB debut as a 19 year old in 1968. 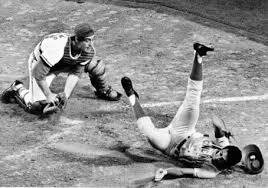 On August 9th, 1972, Ted Simmons finally gets around to signing his contract, though he's been playing all season. It's believed that Simmons is the only big leaguer ever to play without a contract. 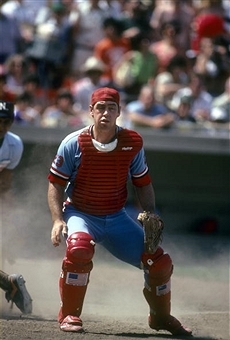 Ted Simmons has more career hits (2,472) and doubles (483) than any other catcher in big league history. 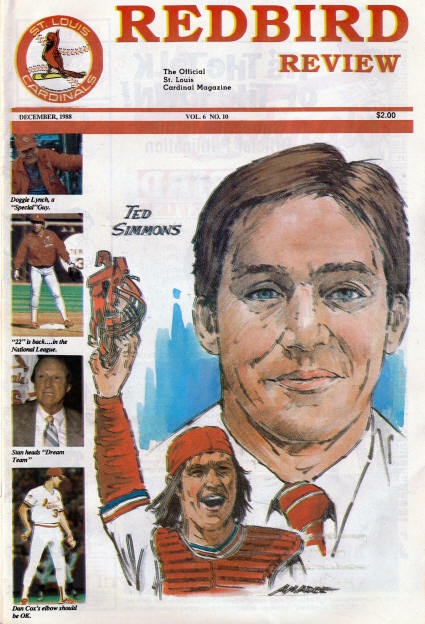 Ted Simmons led the team in RBIs for seven consecutive seasons. 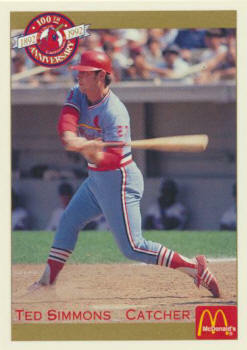 (1972-78) He also drove in the most runs during the decade of the 1970s for the Cards with 828.